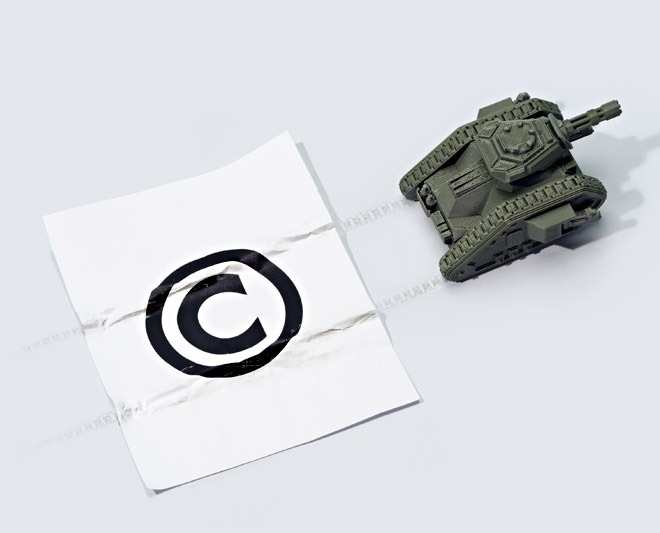 How Will 3D Printing Affect Intellectual Property Rights? There is no doubt that intellectual property right holders and businesses will face disruption as regular people gain access to powerful tools of design and production, away from regulation and control. However, whilst rights owners will be concerned about the challenges 3D printing raises, as is often the case, with new technology and development comes new opportunities. 3D printing technology has been around for a generation, but we are only now reaching the point where private individuals and businesses can buy 3D printers at affordable prices. Consequently, as the availability of 3D printers becomes more widespread and decentralized, questions regarding the protection and enforcement of intellectual property rights such as designs, copyright, patents and trademarks, will inevitably arise. The fundamental concept is that the creation of 3D printed objects is achieved using additive processes, by laying down successive layers of material until the entire object is created. The process begins with making a virtual design of the object you wish to create. This virtual design is then made in a CAD (Computer Aided Design) file using a 3D modeling program for the creation of a new object. Alternatively, to copy an existing object this can be done with the use of a 3D scanner; the scanner makes a 3D digital copy of the object and puts it into a 3D modeling program. Businesses are also beginning to embrace this new technology. Ryman, the stationery and printing shop now offer 3D printing services, such as the ‘selfie service’ which scans customers and provides them with a mini model of themselves for the price of £50. Patents are monopoly rights granted by the Government to protect inventions. If a patent is granted, the inventor gets a monopoly over use of his/her invention for generally 20 years. In order for an invention to be patentable it must satisfy certain conditions; it must be new, constitute an inventive step and be capable of industrial application and not fall within any of the exclusions set out in the Act. Who can find themselves responsible for infringement? Unauthorised commercial production of patented products by 3D printing would constitute an act of patent infringement by the user of the printer. However, it has been highlighted that patentees may be reluctant to sue the end-users of their products, which is something right holders would need to carefully weigh up and consider before starting legal proceedings. There is a statutory exemption for private, non-commercial acts which will apply to patented products that are produced by users at home for personal use. It is important to note that although many patents are for complex inventions, there are some simple patented products which can be produced by 3D printers at home, such as hearing aids. Copyright protects the physical expression of ideas and arises automatically at the point of creation; there is no need for registration. The downside of such informal creation of copyright in a piece of creative work is that it is very easy for individuals to use elements of other peoples copyright material in creating their own new work without even realising. Copyright gives the owner the exclusive right to copy, publish or show their work in public. Thus, if anyone else does any of those things within the UK without permission or a defence, this is likely to be considered infringement. There are two types of infringement; primary and secondary. The primary infringer is liable regardless of his state of mind, whereas the secondary infringer is liable only if knew or had reason to believe he was dealing with an infringing copy. Infringement of a registered design occurs where, without permission from the registered proprietor, a product in which the design is incorporated or to which it is applied is made, offered, put on the market, imported, exported or used or where such a product is stocked for those purposes. Thus, commercial reproduction using 3D printers would amount to design right infringement. However, there is an exception to infringement of registered design right for an act which is done privately and for purposes which are not commercial. It is also important to note that knowledge or intention is not required for infringement. The fact the right has been registered gives notice to all, regardless of knowledge. A trademark is a badge of identification of the trade origin of goods or services from a particular supplier. The trademark can be, for example, words, logos or a combination of both and distinguishes particular goods and services from those of competitors. There are many advantages of registering a trademark, such as the period of protection given by registration is potentially unlimited and the scope of protection is equivalent to an exclusive right to use the mark in trade for most commercial purposes permitted by the particular registration. Furthermore, it is much quicker, cheaper and less uncertain to sue for infringement of a trademark rather than trying to rely on a passing-off action. Trademarks are infringed by use in the course of trade of the same mark on identical goods; infringement also arises through use of a similar mark on the same goods, or the same mark on similar goods. Trademarks traditionally took the form of distinctive words or graphical devices, but more recently their definition has broadened to include shapes and combinations of colours. It is fair to state that a global online marketplace for designs will encourage increased competition amongst the designers of goods. However, the problem that comes with this is the potential for anti-competitive behaviour. Another major legal problem raised by 3D printing is that it allows consumers and businesses to produce products without consideration of governing standards, such as toy safety regulations. Moreover, the ability to print objects on demand away from external control, may lead to mass production of illegal or restricted goods such as handguns, or other weapons and banned substances.